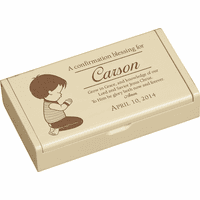 FEATURES/SPECS This personalized keepsake gift box is a unique, thoughtful gift for someone of Faith. 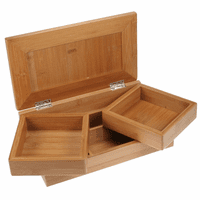 Its made of solid wood and has a lustrous ivory finish. 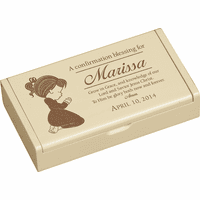 We'll add the gift recipient's name, laser engraved across the top. Below the name is an ornate accent stripe. Below the accent stripe, the inspirational quote "I trust in God's unfailing love forever and ever. PSalm 52:8" is laser engraved engraved. This personalized keepsake box will be a source of inspiration to the recipient, rejuvenating their spirit every time they look at it. 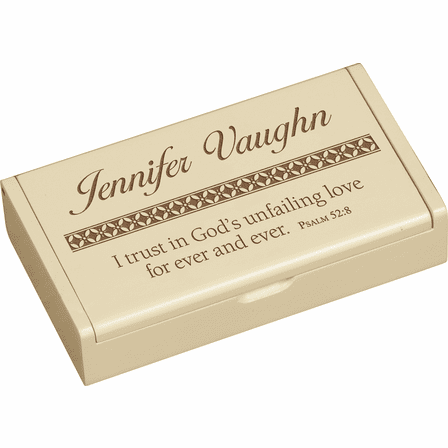 Includes the text "I trust in God's unfailing love for ever and ever. Psalm 52:8"